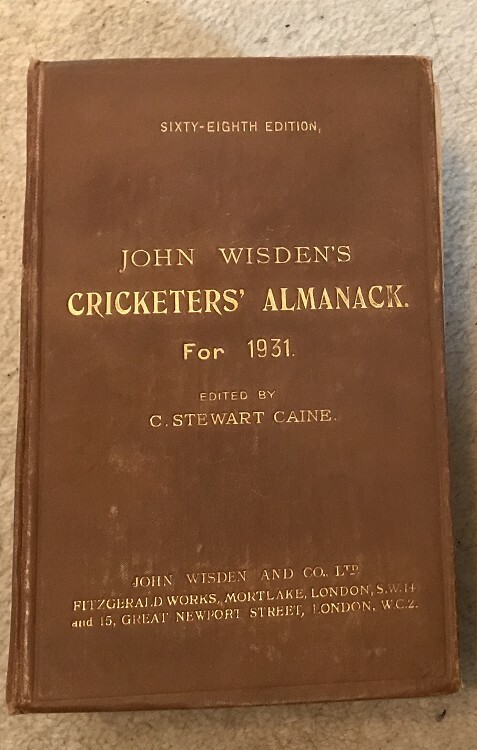 This lot is an Original 1931 Wisden Hardback. This lot is in OK condition, although going on the description you may feel I should rate it better than good, but here goes. The gilts to the front and spine are bright, the book is 100% original, the hinges are strong and hold the boards abover 90 degress although some mesh can be seen and the pages are nice and clean inside. It just feels read , it is a bit wonky and there are lines running from top to bottom of the spine parallel to the writing , nice boards but some light markings to the rear one, a hard year to find, nice photoplate. Nice Price.